Nokia used to be the only one Company to produce most wanted Mobile phones before 2012, but when the Mobile phone era Changed Nokia was DEAD! And now thankfully they are doing something to be alive again! So Nokia had Launched a New Smartphone the Nokia 6.1 Plus, it is a Mid-rage Device and is Priced at INR 15,999. Nokia 6.1 Plus will be sold Exclusively on Flipkart. So Nokia in their Web Presentation Claims that if you have this Smartphone in your Pocket you will Stand Out in Public and you will have Confident to Tell your Story out! Extreme Powers! Nokia 6.1 sports a 5.8 inch FHD+ Display of 19.9 Screen Ratio, this phone doesn’t feel Bulky at all because of its 19.9 Screen Ratio Display. If Nokia was Smart and more impressive it would put a 6.1 inch screen in Nokia 6.1 Plus as it is named as 6.1. It has The marvellous edge-to-edge design which looks sleek and give better detail in each view. It has a curved design, which makes it perfect to fit into your palm and easily in your pocket. Nokia 6.1 has prosperous Colors covering it that catches Light, and for more Premium look Nokia put a 2.5D curved glass. Talking about the Camera it has 16 MP/5 MP dual sensor rear camera and 16 MP front camera, It can take Next level Photos. with depth-based imaging Technology. And it comes with features like portrait lighting and bokeh, Studio Style and HDR Photography. Every Smartphone has AI Technology in build So does Nokia 6.1 Plus with it, it has creative filters, stickers and masks with Dual-Sight photos and videos. AI improves every Live Streams in any Platform by enhancing facial recognition to make sure the animated masks and filters are matching. Like every other Mid-range Phones, it is also Packed with quite nice Powers, it has most power Efficient Snapdragon 636 Chipset. If you feel less Storage you can add MicroSD card up to 400 GB. Now the best and Most Exciting part is that it is Android One! which means Nokia 6.1 will get latest updates fastest than any devices, Android One is the best, secure and up to date. 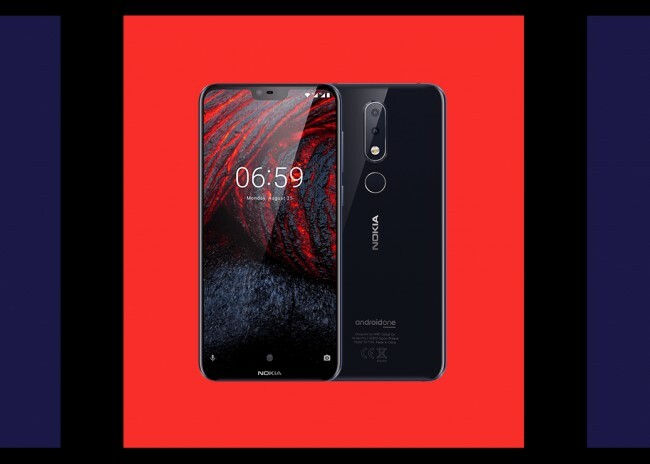 Nokia 6.1 Plus comes with Android Oreo, it receives monthly security updates and it has two years of Android upgrades too! Also, It offers a clean interface with the latest features. Operating System Android One, Android 8.1 (Oreo). Priced at 15,999 INR & and will be Sold by Flipkart.